After only a few hours in Marvel Heroes, I find myself experiencing mixed emotions. On one hand I like how well Marvel fits the action rpg genre, similar to the Marvel Ultimate Alliance style. On the other hand, Marvel Heroes is really unoptimized, and suffers from a ton of performance issues; Graev is experiencing a ton of crashes, and we’re both getting a lot of lag when there are lots of players on the screen at once. 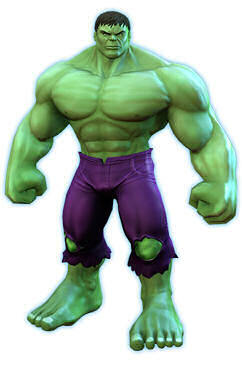 I’m also torn by the ‘MMO’ aspect of Marvel Heroes. Imagine playing Diablo without joining different games. Instead, the entire game is simply lobbied. In fact, think about the way SWTOR handles their world, make it an isometric action rpg, and you have Marvel Heroes. It works from a ‘hey cool I have people to play with’ point of view, and there’s a certain comfort I get from having other people playing around me, but I also hate seeing 30 Hawkeyes running around, or watching as it takes 50 heroes to take on Venom. I think I would have preferred a traditional action RPG where I make a room and people can join. Gameplay is fun. I like the talent trees, unlocking abilities, and smashing tons of street thugs who explode with loot has always satisfied me. We’re still so early in the game that it’s hard to comment much further. I think I’ve played enough to know that there’s enough fun to keep exploring if any only if Graev can overcome these issues he’s having with the game running out of video memory. If anyone finds a Marvel Heroes video memory fix please let us know. Sounds… Interesting. Not sure if it will be my cup of tea but I’ll try it. I’m interviewing the president of the company tomorrow, David Brevik, for mmorpg.com’s podcast. Anything you would like to have him asked? (Within reason of course). Speaking of Venom and 50 heroes taking him on in the open world. I did that last night and i felt they clearly did not design the game for that kind of event. I could not target Venom nor could i see him between all the crazy effects from all the heroes, specifically the red fire sprays coming from what i think is Ms. Marvel ? I think nobody likes to see 20 HawkEyes or 20 Storms running around. The issue and a huge flaw with this game, they’ve chosen NOT to have loot/armor give your character some form of custom looks (like 99% of all MMOs and even ARPGs like Diablo do). Instead they have the costumes, which not only are VERY expensive (some are like $15+?) but obviously they are limited to how many the devs created. So HawkEyE got like 4 costumes i think, which is sufficient to actually make you look different from all the other standard hawkeyes, but expensive and short lived most likely. I would’ve preferred having certain armor pieces show something on my character, it’s making the loot drops so “meh” . Similar to Champions Online, you have all these generic stuff filling up your inventory, but the excitement of what it looks like is gone, you only check the stats and that’s it. Speaking of which, Marvel Heroes inventory + loot mechanic seems intentionally “loot-pinata” like, constantly filling up your inventory. Crafting materials do not even stack, i mean, seriously, wtf. I decided i’m not going to micro manage crap like that, i’m selling it all and skipping crafting in this game. @graev sorry to hear its constantly crashing on your pc. Myself .. no crashing issues. I do have the low lagging fps with many heroes fighting an event boss. Other then that it runs just fine. I got a lvl 12 Scarlet witch. Thus far I enjoy the very simplistic grind like gameplay. Its relaxing. I do still have the feeling there is something missing in actual gameplay. Perhaps diablo 2 was more complex and I am reminded of that? Not had a hero drop yet. Anyone did? I have lately been on an ARPG kick after getting totally hooked on The Incredible Adventures of Van Helsing (10/10 game for me). I have POE, D3, DS1 through 3, Torchlight 2, Sacred 2, Titan Quest, Din’s Curse, Drox Operative and a ton of others installed, not to mention my pre-order of Grim Dawn. So lately needless to say I have been playing my fair share of action role playing games. I did try MHO during closed beta but wasn’t overly crazy about it. I reinstalled it last night and did have a bit more fun and the engine had certainly improved since I had last played. I *might* buy another character or two, so far I just have Storm and Daredevil. But I am certainly glad I didn’t pay $200 for the founder’s pack. I don’t really care about the different costumes even though I did snag the late 80s Storm with mohawk from a drop. All in all the game seems okay. I am sure if I buy anything at the start it will be bag space which is almost always my primary f2p purchases. I didn’t have any crashes or real lag. @Zyler when you beat Green Goblin you should have gotten another character as part of the quest, in my case I got Daredevil. I have heard some people say that they didn’t though so I think that it may be bugged. I plan on playing MHO over the weekend to get a better idea of how it will be. So far from the free to play side as long as all the content zone wise is there, I don’t see a real need to invest much money unless there is just a character you are really wanting or a costume that you are set on having. To me MHO will just be a supplemental game for when I am bored with other ARPG or just feel like playing a game in the Marvel universe. All in all the game isn’t bad, but it isn’t awesome either. It is what it is, another online persistent ARPG set in a slightly more open world than D3. Seeing multiple identical heroes on the screen at the same time does not really bother me since the game is not really an immersive experience for me… it is more a simple loot grind. I never really pay much attention to the other players on the screen. The world boss events like Venom, Rhino, etc are really an annoying aspect of the game. There is no skill to defeating them, it is merely a matter of pounding them with attacks as more heroes pile on and simple dodging the rare times they target you. Like you said it becomes a mess when enough heroes get involved and unless I am locked on I am not sure what I am shooting at. Really annoying. The second most annoying part of the game currently is the storage system. Space is very limited mostly due to the non-stacking materials issue. I can accept that the system is not currently allowing for it but it is very frustrating that they can add cash shop unlockable crafting material storage boxes but can not fix the stacking issue itself. It feels very much to me like it was done this way intentionally. They still advise players to combine/split their mats as needed and it has worked for me thus far but it can be a bit frustrating when clearing a level to run out of storage and have to spend 5 minutes combining to continue on. I look forward to an auction house system too. Currently their is a debate on the forums about how rare respecs are and players keep saying use the gear that unlocks powers but that is simply a random thing. An AH would allow me the chance to actually seek out a piece of gear that unlocks a power and try it out. The game has some serious potential, it just needs some time to stabilize. Its nice to not look like everyone else. CRAPPY COMPUTER MAKE HULK ANGRY!! RRRWAAARRRGHH! I’ve been very pleasantly surprised with the title thus far. I really like the open world (albeit moreso on my higher end computer, which doesn’t crash, than on my crappier old box that goes down every 30-45 minutes – plz fix memory leaks kthx). Less so for the public quest settings where fifty people go after Venom and he takes 10 minutes to kill, but more for the smaller dungeons where you’ll have 4-6 people just show up at the same time as you are. It feels thematically appropriate that random heroes just join in the fray, and it’s most of the fun of PUG group content with zero of the time spent LFG – if you go to a major quest objective during peak hours, a group will be provided, instantly. Also, perhaps this was a happy coincidence or perhaps I’m just deluding myself because I like the characters from the comics, but I’m really happy with my two main heroes (Cyclops and Thing) – I see the other heroes in the world and I’m glad they’re there, but I wouldn’t trade either of them for any of the other heroes I’ve seen in action thus far, even the more expensive ones.